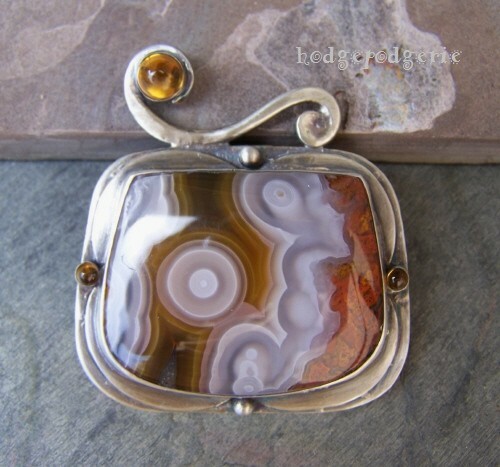 A stunning Coyamito Agate cabochon is the focal for this one-of-a-kind artisan pendant. 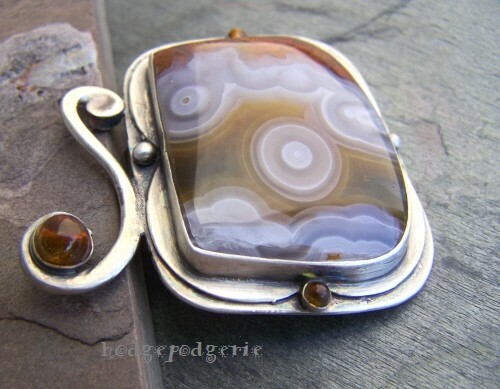 The agate is semi-translucent whites and grey with lovely amber and dark rust banding. 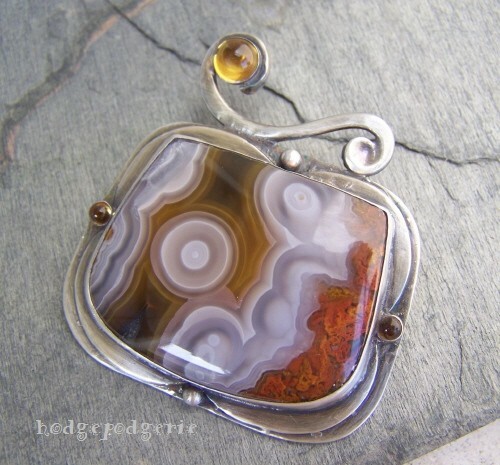 I've hand pierced and sawed the back of the pendant in a pattern echoing the agates so when held up to the light, the stones unique banding is highlighted. 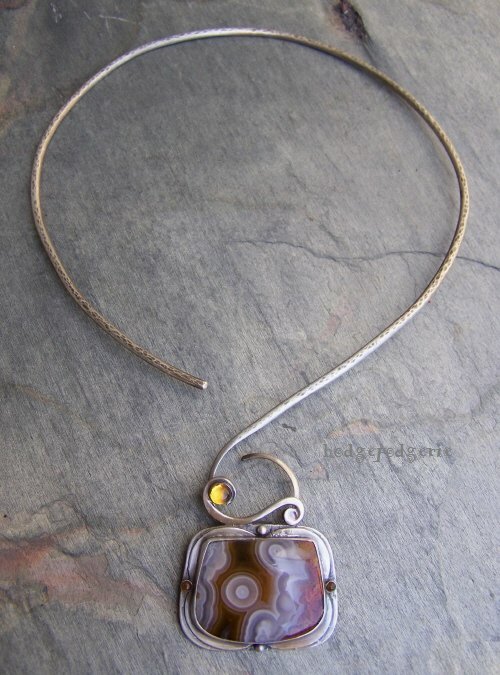 Gem quality citrine cabs around the pendant create more visual pop! Totally hand-fabricated from Sterling silver, this pendant started out as simple sheet and wire. The body of the pendant is 1-3/4 inches across and 1-1/2 inches tall. 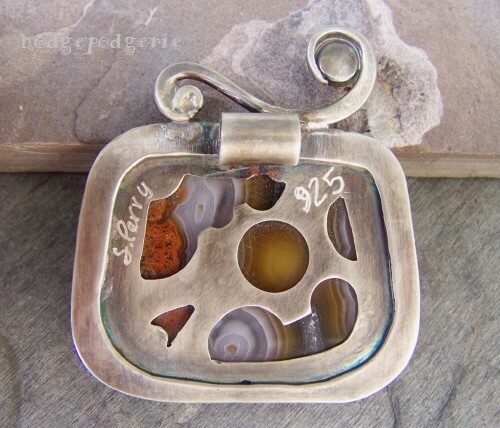 Add to that the little silver swirl on top which is 1-1/8 inches and add another 1/2 inch to the pendants height. The bail on the back of the pendant allows it to be worn as a slide as shown or you may suspend it from a chain. The pendant comes with the hand-wrought Sterling silver necklace as shown, but I'll be happy to put it on a nice chain for you if you prefer....just drop me a note at check-out. The necklace is lightly textured and the entire piece was oxidized and given a brushed finish. Sorry, but this necklace is SOLD. Return from "Natural Art Necklace" page to "Necklace Gallery" page.